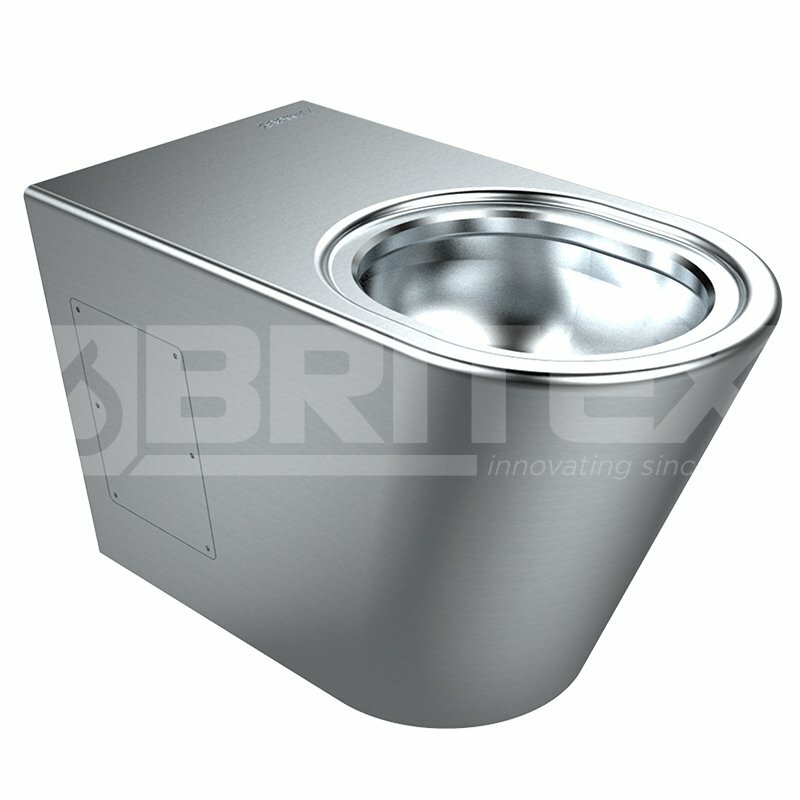 The new Grandeur stainless steel toilet pan from Britex can be specified, purchased and installed with confidence. Like all Britex stainless steel toilets and toilet suites, the Grandeur pan is WaterMark certified and has 4* WELS rating (4.5 / 3 litre dual flush). Grandeur stainless steel toilets are stylish and incorporate several vandal resistant features that add to the aesthetics of the design, including an in-built seat recess around the bowl and a large radius edge at the front of the pan for additional safety. They also have a smooth, flowing appearance. Grandeur stainless steel toilet pans are manufactured from heavy gauge satin finish stainless steel. The toilet pan also features a unique blockage-resistant trap, making it ideal for installing in public amenities where maintenance considerations are paramount. Grandeur toilet pans have a robust construction, concealed fixings and contraband-proof flushing rim, also making them suitable for high security projects such as prisons, detention centres and police holding cells. Grandeur stainless steel toilet toilets are available in a range of formats including an AS1428 disability code compliant model as well as in a fully stainless steel close coupled, toilet pan and dual flush cistern 'toilet suite'. Providing maximum resistance to vandalism, Britex Grandeur stainless steel toilets have a long life span in applications where replacing damaged products would otherwise be commonplace - therefore providing value for money over an extended period of time.